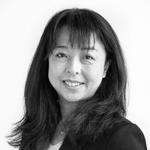 Taeko Morioka is a coordinator for Human Resources and Capacity Development. She acts as the HR focal point at the UNU-IAS Yokohama office. Since joining the institute, she has also been coordinating and taking care of arrangements related to the PhD and Postdoctoral Fellowships at UNU-IAS.